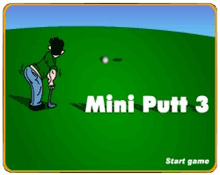 A very amusing mini-golf game. Try to shoot the golf ball within the least strokes possible. There are 18 holes in total that you need to go through. Some holes are pretty intense.